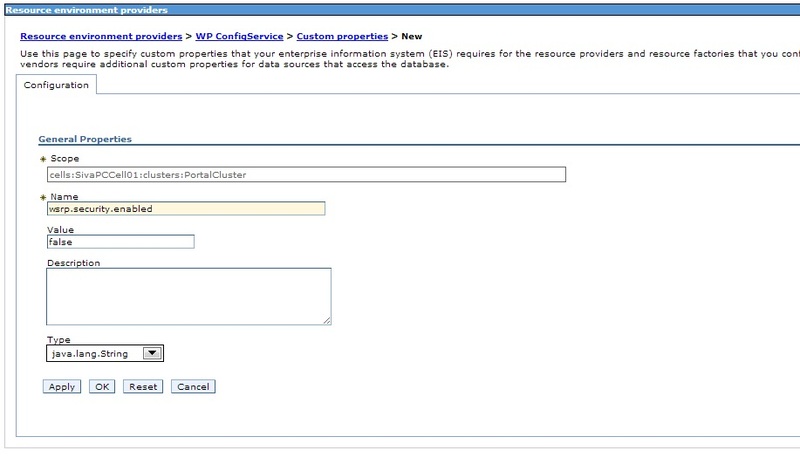 i. Configure security using the WS-Security (webservice security) : This requires to update and re-pacakage the wps war file. iii. 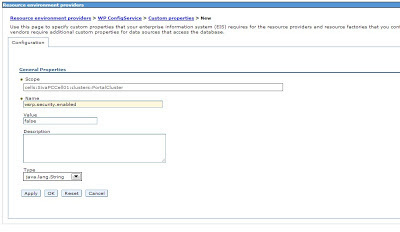 Disable the security (You can't use the portal access control settings) : By default Portal Access Control is enabled for the Producer portal. 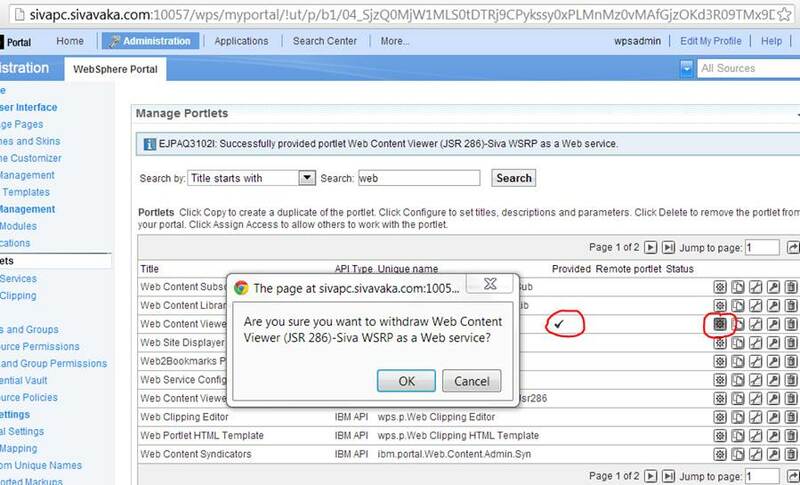 If you want to disable Portal Access Control when using WSRP with WebSphere Portal, deactivate the WSRP security by setting the portal configuration parameter wsrp.security.enabled in the portal Config Service to false. With this setting all portlets that your Producer portal provides can be accessed through the WSRP protocol without any authentication. b. Producer checklist for exchanging the information between consumer. i. The WSDL document that contains the WSRP service description of the Producer. user registry information. The Consumer needs this in most cases if the Producer has configured security by using WS-Security token forwarding. SSL server certificate.The Consumer needs this if the Producer portal has security set up with SSL client certificate authentication. iii. Registration information. The Consumer needs this if the Producer requires registration. iv. Group IDs and handles of portlets. The Consumer needs these if the Consumer administrator consumes a WSRP service from a Producer portal by using the XML configuration interface. The portlet handle and group ID are listed in the service description of the Producer. The portlet handle for each portlet that the Producer provides is listed in a portletHandle tag. The group ID for each portlet that the Producer provides is listed in the groupID tag of the service description. i. When a Producer provides a portlet, the portlet itself is provided, not an instance of it. Therefore only settings made in the Configure mode of the portlet are available at the consumed remote portlet. Adding a remote portlet to a page on the Consumer side creates a new instance of the provided portlet on the Producer side. But this instance can only be modified on the Consumer and is not visible on the Producer portal. ii. Customization of the Producer portlets by Consumer portal users can be exported by using the XML configuration interface. 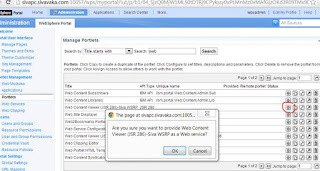 Provide Web services: To provide your portlets and make them available to other portals as remote Web services, use the Manage Portlets portlet. 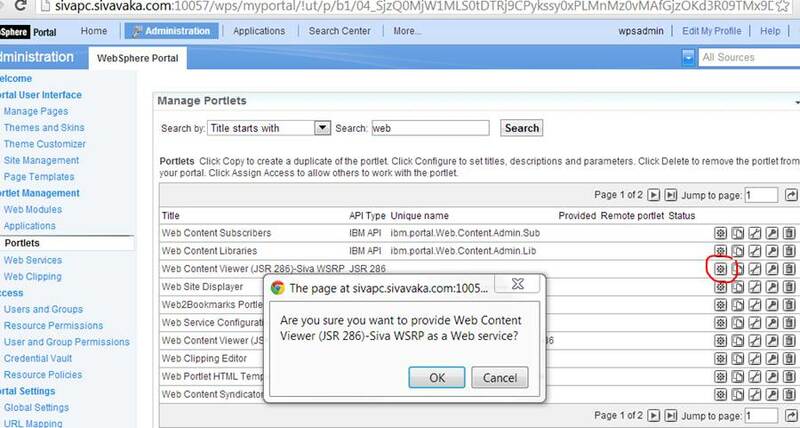 Consume Web services: To integrate Web services provided by a Producer as remote portlets in your portal, use the Manage Web Modules portlet.